We would love you to bring in a gift to donate to a local family, the gift can be for anyone, babies, children, teenagers, even Mum’s & Dad's. The gift should be left unwrapped and delivered to F.Hinds between 10th November and 9th December. These gifts will then be hand delivered by the wonderful Home-Start Team in time for Christmas. 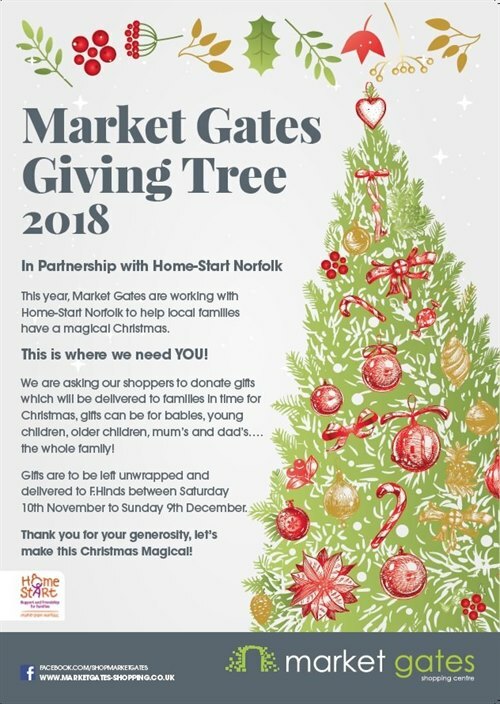 Please help us support such a brilliant Charity and help local families have a Magical Christmas!